We are proud to present the brilliant Spitfire Pocket Fire Lighting Kit The Quick And Easy Way To Start Fires In All Weather Conditions Uk-made. With so many on offer right now, it is great to have a name you can trust. 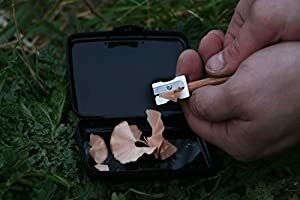 The Spitfire Pocket Fire Lighting Kit The Quick And Easy Way To Start Fires In All Weather Conditions Uk-made is certainly that and will be a excellent buy. 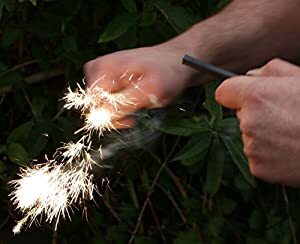 For this reduced price, the Spitfire Pocket Fire Lighting Kit The Quick And Easy Way To Start Fires In All Weather Conditions Uk-made comes widely recommended and is a popular choice with lots of people. Polymath Products have added some nice touches and this results in good value. 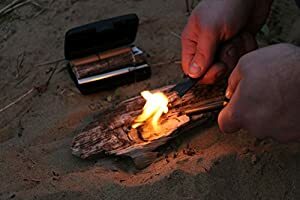 The Spitfire is a pocket-size, easy to carry and highly effective fire lighting kit, designed to allow its user to quickly and reliably get a fire started regardless of weather conditions. For ignition, the Spitfire combines a chunky Ferrocerium (fire steel) rod with a durable Striker to produce a large volume of 3,000° C sparks. The Striker also features a built-in bottle opener; the ideal campfire accessory! The Telescopic Bellows extend out to an impressive 442mm, allowing you to blow additional oxygen into the fire whilst maintaining a safe and pleasant distance. 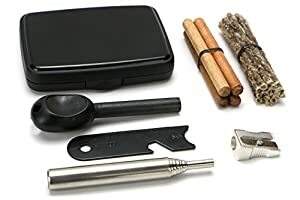 The kit comes with its own supply of water-resistant tinder, in the form of waxed jute Tinder Sticks, which will readily catch a spark and ignite, and can be used as a lighting splint that will burn for four minutes. A Magnesium Sharpener allows you to shave both the included Waxed Dowels and collected sticks into a pile of hot burning kindling. The Spitfire is perfect for bushcraft, camping, festivals, hiking and many other outdoor activities. The kit comes with a detailed instruction sheet, with explanations for starting and building fires. Package contains: 1 Spitfire kit with instruction sheet. Contents for use by adults only. Refill Packs for the Spitfire are available; please see Polymath Products' other listings for these. Also available separately, the Spitfire 'Plus' combines the standard Spitfire kit with a nylon pouch and aluminium storage capsule. 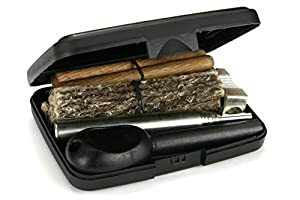 A complete kit for all-weather fire lighting, provided in a pocket-size case to keep everything to hand. Includes a top-quality, chunky Ferrocerium rod that produces a shower of 3,000° C sparks, and will start hundreds of fires. 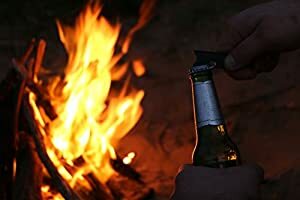 The durable steel Striker also doubles as a bottle opener, making it the perfect campfire accessory! 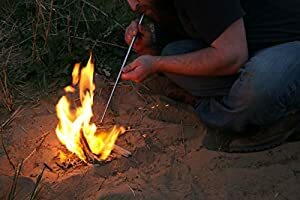 A Telescopic Bellows tube allows you to directly feed oxygen into the heart of the fire, turning even the most difficult to light fuel into a stable fire within minutes. Contains a supply of water-resistant Tinder Sticks, which make starting fires a pleasure and not a chore. The Magnesium Sharpener can be used to shave the included Waxed Dowel or collected sticks into hot burning kindling. Size: 98mm length x 72mm width x 21.5mm depth. Weight: 116g. Made in the UK by Polymath Products.